HAIR CARE | MY SACRED JOURNEY . . .
I’ve wanted long hair most of my life, but have not always been able to grow it as long as I would like. Yes, I’m a child of the 60s , but I’m also part Native American and have an affinity for all things natural and earthy. Now that my hair is beyond my behind, I get inquiries into how it grew so long. There is no single answer. Growing my hair has many components…genetic, chemical, environmental and spiritual. Genetically, I have thick wavy tresses from my dad, but fine individual strands from my mother. This makes it look full while being light on my head. People with thick long hair sometimes get headaches or neck strains and feel better with trimmed hair. Those with fine thin hair have little body and may keep their hair styled to give it pizzazz. The texture of my locks is a happy medium. Chemically, I am very particular about what hair products I use. First, I have never dyed my hair, nor will I ever. I’m proud of my gray streaks knowing I earned every gray hair on my head. Second, I have only used natural shampoos, preferably without artificial ingredients such as sodium lauryl sulfate and other additives. This is hard to find and more expensive, but better for your hair and for the environment. No matter how long your hair is, you only need to wash the scalp. Let your natural oil stay in the rest of your hair. This also saves your shampoo budget. There are alternatives to shampoo, but I have not tried them. I only wash my hair once per week, allowing it to go through an oily stage, pulled back in a ponytail, toward the end of the week. At least once a year, I’ll go for about a month and brush my natural hair oil until it thoroughly coats my hair to the ends. 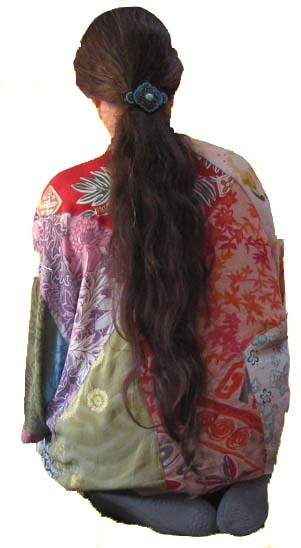 When freshly washed, it has a frizzy or wavy look. My hair is like a weather hygrometer (humidity) too, HaHa. If you can tolerate it, rinsing your hair with cold water at the end of your shower helps to close the hair follicles, skin pores, and keeps your hair from stretching in ways that can cause damage. When washed, I drip dry my hair, no hairdryer or blower for my delicate hairs. Never pull on your hair or brush it when it is wet for it stretches and creates stress. I squeeze my hair, kind of like easing paste through a tube, to drain excess water. Using an excellent hairbrush, such as the large Aveda brush, glides easily through wavy or curly hair with few tangles. A natural bristle, nylon reinforced hairbrush can be healthy for spreading your natural oil through your hair, but has more tangles, thus creating more stress on the hairs. Brushing long hair without creating tangles requires a special technique. First brush strokes concentrate on the ends of the hair. With each new stroke down the hair you can start a little higher until the final brush strokes start from the scalp and glide all the way down. You’ll be surprised how tangle free your hair will be with a bare minimum of damage. Finding the right balance between stimulating one’s scalp by brushing and minimizing stress to the hairs is an art to be developed by each person. Massaging your scalp is a nice treat for your head and hair follicles. Speaking of ends…trimming one’s hair on a regular basis has been sold to us as a necessity to avoid split ends, frizzy ends, etc. I have found that by not trimming my ends I have fewer split ends. More on this toward the end of this article. Environment and where your hair lives has a huge impact on its health, inner and outer. Since I’ve lived in a Pacific Northwest rainforest for almost 20 years, the moisture in the air has been one of the most significant factors in my hair health. Living in a dry environment has an obvious impact on one’s hair and skin, requiring more care and attention. Some people like to brush natural rosemary oil through the ends of their hairs as a healthy treatment. Inner health is promoted with a healthy food and exercise lifestyle. For me, dairy products created dandruff and clogged my scalp pours. As many of you may know, there are certain foods that promote healthy protein production and bones. These can contribute to better hair shafts and finger nails. 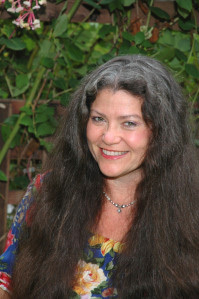 Here is a helpful video with an Ayurvedic approach to healthy hair care…here! Last, but most important to me, hair growth is a spiritual process and symbol. Before I knew I was part Native American, growing up in a predominantly white community, I already had an inner knowing that hair is sacred and not to be cut. It wasn’t until I was in my teens that I was given a choice not to cut my hair. I have not cut it since that time. I used to trim my hair regularly because there was a standard I was influenced by that said hair must look neat, and neat is when all hairs are styled or are the same length. Since I did not style my hair, I tried to keep it trimmed evenly. What I finally realized is that I was working against the natural growth of my hair. Every hair on my head naturally grows to a different length and will never be even. It took being with and dancing with my Native American sisters at Pow Wow to realize that many of us have hair that naturally grows to a point, far from being even. On the What Not to Wear TLC program, “Rebecca” episode, hairstylist, Nick Arrojo exclaimed “Your hair is an accessory, not a permanent fixture.” I was disturbed when I heard this, but completely understood that this represented his attitude as a professional dedicated to his art, albeit limited to fashion values. From a traditional Native American view, hair is an extension of oneself, much like one’s nose, hands, etc. We do not think of these as accessories. The other sad extreme is where spiritual devotees donate their hair for a blessing, only to have their hair sold at a premium price, ultimately becoming hair extensions for fashion conscious hairstylists and clients, portrayed in the powerful film Hair India (link to YouTube trailer). I know I represent a minority, in more ways than one, but a small voice has been nagging me to share my perspective and experience in case someone may benefit from my wisdom. Disclaimer – My hair recommendations may not apply to all types of hair. Please feel free to add comments with your experience and suggestions. For example…I would love to hear how various people maintain dreadlocks. Many thanks to Susan Ertsgaard for the Portrait photo. © 2009 – 2019 Katrina Wynne, all rights reserved. Nothing herein may be copied, reprinted, reproduced, or retransmitted in any media format without express written permission of the author. Thank you very much for this, Katrina. I didn’t share this and we didn’t talk about it during last summer’s retreat, but I decided to let my hair grow out right after the retreat. I’ve wanted to do it for a long time and we could talk about all the obstacles I faced, but the time is now and your article gives me practical advice as well as spiritual reinforcement. Last we visited, I had noticed that your head of hair was growing, as was your beard. From a NA point of view, hair has an energy, I envision like an antenna, that connects us with spirit. That is why we do not throw the hair we shed in the trash, but bury in the earth. The only time we cut our hair, as traditionals, is to send it into the spirit world with our loved ones. you look very beautiful. I’m growing my hair out long too and I hope I look that good when I get around your age. do you have any other long hair pictures on this site? Hi Katrina, I have long hair and always have since I was a child. I feel it is part of who I am. I am in sad state right now because where I work, a customer filled out a survey and put on there I was unprofessional, due to the fact I had long hair. Also I have gray in my hair, I have never and will never dye it, a customer complained to me that it was (again) unprofessional to have gray hair and that I should dye it. But thankyou for your words of encouragement about hair being a spiritual process and symbol, that is how I always have felt. Yes…I just turned 55 and am thankful for my health and well-being. Since I’m a bit on the shy side, you probably won’t find many photos of me, except at special events, such as the Oregon Country Fair. I humorously exclaim that I earned every gray hair on my head. To me they are precious and a profound reflection of my seasoned life. I would no sooner dye my hair as change the color of my eyes or my skin. But, I hear the sadness of your work situation. I know for me I put thought into how to arrange my hair when in public presentations. I have chosen to be self-employed to have more freedom of expression of my values. There is often a tradeoff and one finds oneself at interesting choice points. I hope you can follow your heart and support your values whenever possible. Hi there, stumbled upon your site. I think your hair is beautiful and people have no idea how lucky they are to even have hair. I’ve been sick most of my life, though I didn’t know how severe it was. At the age of 30 I was finally diagnosed with Endometriosis. By the time I woke up, they had already started me on medication that made my beautiful thick (to me) hair fall out. It took 3 months. First it stopped growing. Then it got shorter and shorter. And finally one day, at the salon, my friend was rinsing the shampoo out and it slid off of my head completely. It has taken me years to grow back. My health is worse than ever, with double blod clots in each lung and of course doctors telling me that I was going to die. That was 2 years ago. I’m still here. But, I am allergic, since that first surgery and that medication, to just about everything. No perfume, no deodorants, very very few shampoos. I get them specifically from my allergist. No make up, Though that’s not new, I was never able to wear make-up. Ever. But, my hair has been thinning around my edges like crazy. And those that don’t disappear turn white. Not grey. I believe it is because of the stress and the fact that my health is an issue. I haven’t slept in about 10 years or more, Now I pass out all the time. One broken knee cap, and water on the other knee. But I’m not allowed surgery because of the clots. The pain from the Endometriosis is horrible. But I am trying to be happy and positive. Some days I do very well. Other days I wish someone would just brush my hair. I get so tired all of the time. I try to live a chemical free life. There are no medicines to cure any of my ailments. Which is just fine. I no longer trust western medicine. I really appreciate your story and sharing the challenges of ones physical body as well as appearance. I express my compassion for the pain of endometriosis. Years ago I had sever pain for which two doctors diagnosed endometriosis and recommended immediate surgery. Since I don’t have much confidence in Western Medicine practitioners, I decided to get a third opinion from my Chinese trained Acupunturist. She said for me not to worry and that within six months we would turn it around, which we did. It’s been a long time, but if I feel any similar pain, my body is telling me to slow down and to be more careful about what I am eating (no spicy food). I also consider what it might be like to lose my hair and work on releasing any attachment to it being a particular way. You might call it a spiritual practice, or just a reality check, for eventually we lose our hair or body parts, mind or life, so why not start letting go now? I believe we are all beautiful, just the way we are, and in that spirit, any photo you have would be seen with eyes of love and admiration. Thank you for your additional comments. I’ve always figured we have hair (or don’t have hair) for a very good reason, so why mess with Mother Nature. What a journey you have traveled, Raven Mayfair. I send you blessings and best wishes for your continued growth. Ty Katerina. I see you’re also interested in the Tarot. I’ve begun to do reading with major arcana & sensing energies. It’s a mind blowing experience. My 5 senses are increasing along with my 6th. I’m not sure how & why this gift, or some may say a curse, is bestowed to me, but it is. And I’m embracing it going with the flow for once…blessed be Katerina. Tarot truly is an amazing tool for opening our intuitive nature. Best wishes for your life’s journey with all it’s gifts and challenges. I believe it is so important to honor our natural selves and take the best care we can of our health, body, and the Earth. So glad to hear that you resonate with these values. Wishing you many blessings. First, I would just love the unique characteristics of my hair and find ways to enjoy it. For example, when I wash my hair, it goes into loose ringlets. When I brush it, it bushes out, much like the way you describe your hair. Rather than “control” my hair, I find different looks to go with its mood. For example, I won’t brush it for a day after washing and find ways to accentuate the curls. On the other extreme, I may go for a week or more without washing my hair and let my natural oils smooth out the frizzies into a ponytail or bun. I am sure there are products or tools that can change its texture to control it, but what happens when those chemicals go into the environment, or you become dependent upon that electric iron-like tool? On the natural side, some people like to rinse their hair with diluted apple cider vinegar. I remember a Lebanese friend of mine in junior high school having her mother comb mayonnaise into her hair as a conditioner. She had amazingly shiny, thick, black hair. Just have fun and experiment! Osiyo-hello ” in cherokee ” haha. My names Alexa, ive read ” your journey ” story and i enjoyed everything i read about you, your heritage and your lovely spirit. I am also Native American and im in love with my culture and my family history, just like you are!. Thank you for writing this it really helped me out with my hair struggles ive been struggling for years, always wondered ” why is my hair not silky, soft and growing like the other girls ” but than i realized “well wait, i am native maybe i need to take care of my hair according to my nationality not by what other stylist or ” race ” should say “since not everyone has native hair. I have fine hair but i have alot of it and its long but very dry almost krispy like to the touch but i have no split ends but the stylist always thought i had dead ends but than i would tell them ” im native american ” and than they look at me like ” ohh! okay! ” haha. I understood when you said ” your hair’s not an accessary its part of you, your body and soul, yes i truly believe that. My hair for years has been growing, growing slow But growing but since a little girl been growing uneven and wondered why all the time. I thought this was my fault but always took good care of my hair. I take pride in my long native hair and Thanks to you, you’ve brought this wonderful wisdom to my knowledge and know i will take even better care of my hair for years to come! your a beautiful women and even a more beautiful spirit. I would love to stay in contact with you especially talking to another kind native:) please reply back im looking forward to talking to you soon. Write back soon- sincerely Alexa H.
It is lovely to hear from you. I am glad if what I have shared has been support for you. It can be challenging to honor our traditions and heritage when we are surrounded by a contrasting value and message. That is when the spirit is invited to look within, to honor one’s own heart and what it says about my and Great Spirit’s vision for me. This is the modern warrior spirit, to proudly be your most authentic self. I am native okinawan-Japanese. I used to have hair past my hips. Slowly by slowly it has thinned out and looks shaggy and tired. My high stress job and worries about my elderly and ill parents took its toll on me. I simply look and feel beat up. I am hyper sensitive to energy and healing. People around me are rude and point out to me that I am old and have thin hair. I still haven’t given up. My hair is now semi long and I still wear cool rocker chic skinny jeans and pretty tops. What saved me from despair was my connection to spirit and the pure joy I felt when healing myself and others. I am still trying to find a way to heal my hair and skin. Thank you for this article. Your hair is gorgeous! I am glad if my article supports your walk in beauty. The stress, worries, and exposure to negative energies can certainly effect your heath and wellbeing. True health is an inside job, with support from our Mother Earth. I wish for inner peace, compassion and acceptance for you with Great Spirit’s guidance on your path. May I share on Facebook? I’m going to try your tips about care and shampoo. I was a hairdresser early on and didn’t know about my own hair except what was taught in cosmetology. You make so much more sense. I believe hair is an extension of myself and agree with what you’ve written in this article! Thank you for sharing your experience! I found this article by searching for native American hair care. Regular hair care can help you getting long, wavy and silky strands. Hair health is a reflection of how healthy or unhealthy your life is. Taking care of your hair is as important as any other part of the body. While you tend to cover other body parts your hair are subjected to a lot of pollution, dirt and chemicals. Almond oil is the best thing you can go for all hair problems. Thank you for contributing your experience and recommendation. Thank You for sharing such a nice experience with us! I have tried many natural ingredients but nothing work out for me ! So tried Jamaican Black Castor Oil Strengthen and Grow. Now my hair fall is much reduced and they are becoming healthy day by day. Thank you for contributing to this sharing. So glad you have a product that works for your hair. 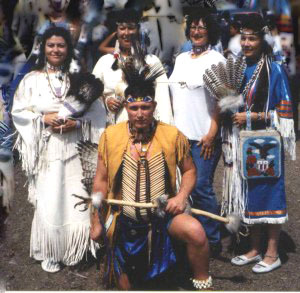 Wado (thank you) for this writing….I too am strongly claiming my Cherokee heritage, through my mother’s line, with Cherokee grandmothers as far back as the records go. I, too, am on a spiritual journey, and not cutting my hair is part of it. I cut it about 4 years ago (it was hip length) to break the cycle of dyeing it. It is now waist length, with glorious white strands coursing through it. I do not intend to cut it again. Perhaps you and I will meet sometime in the Hoh. I”m in Portland now, but am being called northward to the peninsula….I have subscribed to your blog, and wish you well in all things. So glad to hear you are free of the image-negating ways of the larger society. We are beautiful, especially the way we are. Hope to see you in Portland or in the PNW sometime. May I ask what natural shampoo/conditioner you have chosen for yourself? Most of these products are available online. My name is Tholoana, I’m sixteen years old and I have a head of gorgeous, coarse African hair. Since it’s only two years old, it’s quite short at the moment, but I’m putting all my faith in it. Ever since I can remember, I’ve used relaxers, or perms, to chemically straighten my 4c hair. Needless to say, they only wreaked boundless havoc! Its not often you see young black women growing out their natural hair, and its equally challenging to set goals as there often seems to be more obstacles than solutions. Its touches me greatly to see you take your time to be, intentionally or not, such a kind, wonderful and reassuring Spirit for all these women, including myself, to proudly be one’s self. Your words truly touch me and are a big reason I wrote this article. Too many young minds are influenced in such a way that does not honor their natural energy. It takes courage to be your natural self, your real self, in the face of pressure to conform. When we love ourselves and all our unique characteristics we shine through the cloud of confusion around us. Those in the cloud may not see our light, but the ones that count will. Over the ages it has fascinated me how women and men have invested so much time and energy into coiffing their locks. Besides not having an interest in being tethered to a monthly hair salon bill, I had better things to do with my earnings, such as put myself through college. As a child of the 60s, I have always loved the Afros, dreads, real braids with corn rolls (tried this myself a few times), and other beautiful and proud ways of styling course hair. I recently met a woman with course hair who daily applies coconut oil to condition her hair with results she was very pleased with, giving her hair added health and manageability. With the coconut water craze in the USA, there are lots of inexpensive sources for coconut oil now. BTW: Oh, how I miss living on the Oregon Coast! Silver hair is a crown of honor. Blessings on your journey back to yourself! Some of us just don’t fit into neat boxes…and I am so thankful for embracing this understanding!! In my teens straight hair was the thing, then in my 20s perms and layering were in. I just kept my hair natural.